Mark Yokoyama has lived on St. Martin for over three years, spending much of his time in the field photographing and studying the wildlife of the island. Although he does not have a degree in biology, he has had an intense interest in wildlife since early childhood. When he is not out hiking the hills in search of new animals, he spends much of his time conducting research for his upcoming book about the history of the natural history of St. Martin. 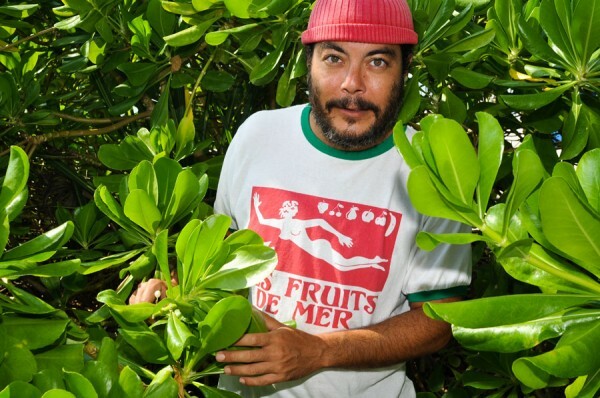 He is also a co-founder of the world’s first Extreme Shallow Snorkeling team, Les Fruits de Mer. As a child, Mark Yokoyama was an avid entomologist and herpetologist. At the age of fifteen, he was the President of the Oregon Entomological Society. He studied English at Harvard University. His interest in biology and wildlife photography was rekindled when he began snorkeling and scuba diving regularly. He first visited St. Martin in 2003, returning many times before moving to the island in 2009. 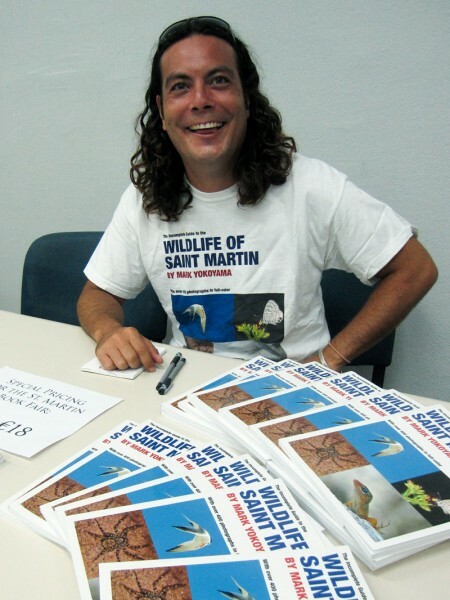 He published the first edition of The Incomplete Guide to the Wildlife of Saint Martin in 2010. The book has sold over 400 copies, primarily on the island. In addition to his own research, Mark participates in a variety of research and conservation projects with other organizations on the island and internationally. He also gives wildlife presentations at local schools and events. His photos have been published in The Economist, The New York Times and many places online. They have also been licensed for use in presentations by former Vice President of the US Al Gore. Throughout history and even today, much of what we know about the biology of St. Martin and the Caribbean has been the result of a collaboration between enthusiasts and academics. During the colonial era, most of the field work was done by local clergy, military officers, physicians and others. Specimens collected were typically send to museums in Europe and the US, where specialists studied them and wrote about them. Starting in the 20th century, more scientists began to visit the islands to conduct field work in person, but even today this consists of relatively short visits to study very specific groups of animals. Without the work of dedicated island residents outside of academia, our knowledge of local wildlife would be woefully incomplete. Yokoyama is continuing, and expanding upon, the traditional model of Caribbean wildlife research both through his own work and his collaborations with academics around the world.